How Lifeline Puppy Rescue raised enough through Facebook to save a puppy's life. Charley, the puppy, was transferred into Lifeline's care with two hip fractures. 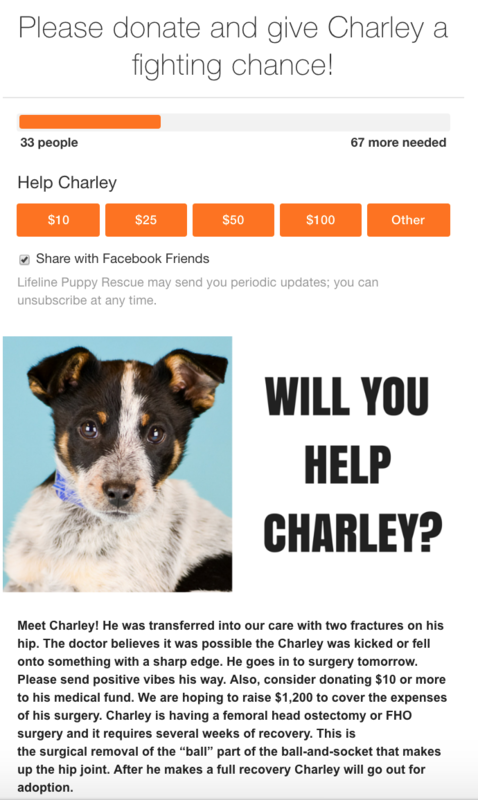 They launched a campaign to help cover Charley's medical expenses, which totaled $1,200. Lifeline's secondary campaign goal was to find Charley a new family. 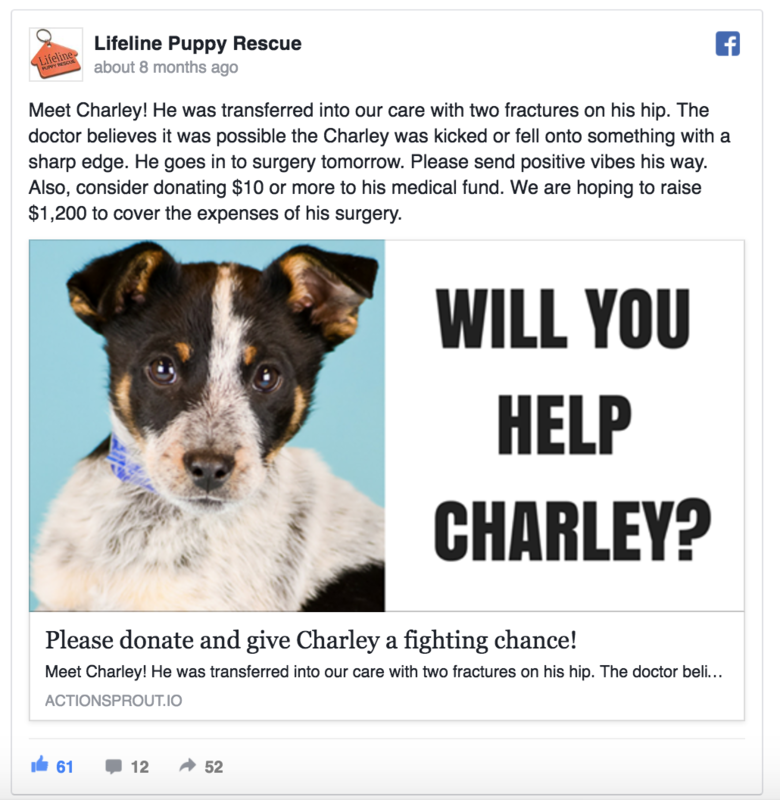 Before Lifeline launched the campaign on Facebook, Charley had been in their care for about a week. During this time, many of their closest contributors, staff members, and volunteers had met little Charley. 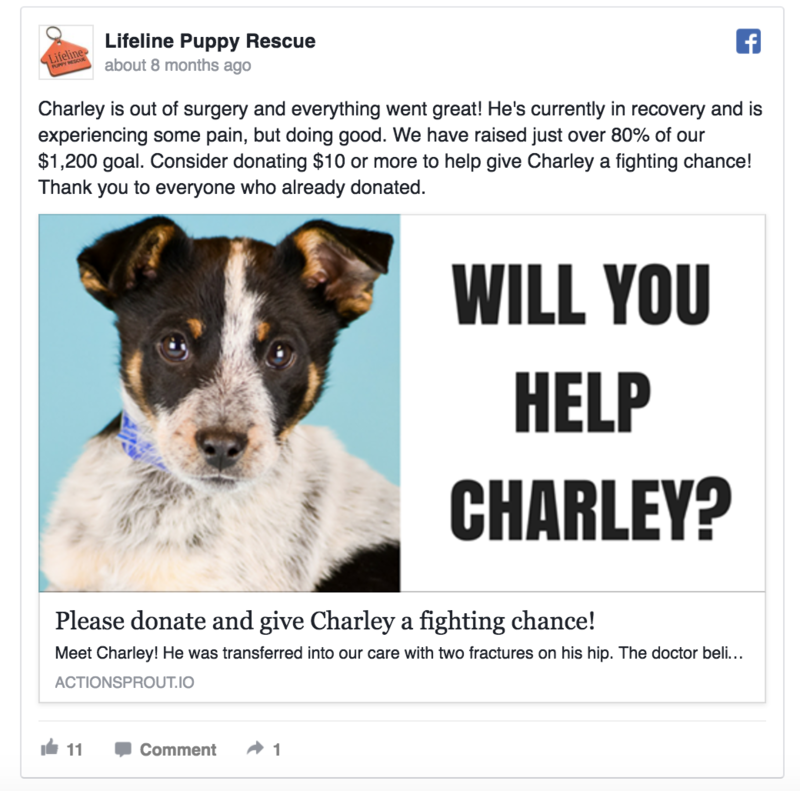 They started by promoting his story to this "inner circle" of their most engaged friends, in hopes that they would see the post on Facebook and be more inclined to share/help as they had a personal connection with Charley.